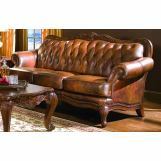 The Victoria Leather Living Room Collection by Coaster features classic button tufted Tri-tone leather, decorative moldings and over 1,000 individually placed nailheads to highlight this sofa's gentle curves. 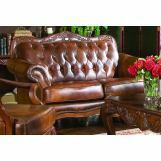 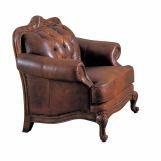 The Set is constructed with Hardwood Frames and standard 1.8 density cushioning with Dacron wrap. 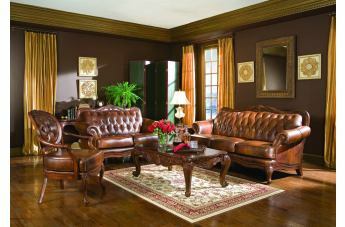 The top grain/split Tri-Tone leather cover is carefully crafted, blending three colors to create such a high end look.